Are You troubleing with SPANISH SEO?? You can't find good backl_inks?? You can't find niche related backl_inks ?? Congratulations!! You come to right place. I can do Spanish SEO. I create new web 2 blogs with your key_word related articles. 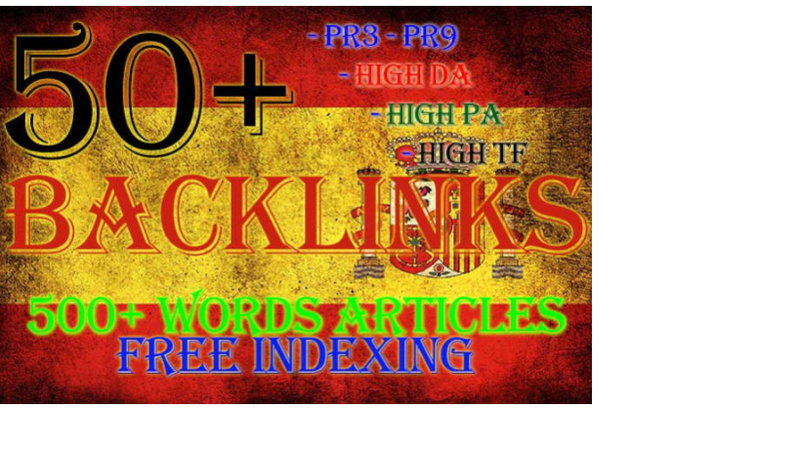 (Spanish Language articles) These web 2 blogs directly l!nk your site. I RECOMMEND TO USE MY EXTRAS FOR BETTER RESULT. Build Dofollow and nofollow both backl!nks.